Indian activists take part in a protest rally against the killing of Indian journalist Gauri Lankesh at the India Gate memorial in New Delhi on September 6th, 2017. 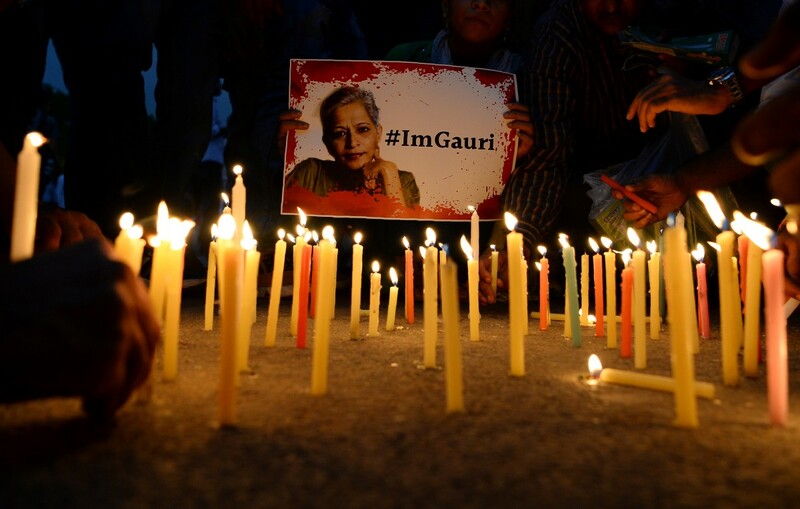 Indian activists, politicians, and journalists demanded a full investigation into the murder of Gauri Lankesh, a newspaper editor and outspoken critic of the ruling Hindu nationalist party whose death has sent shockwaves across the country. 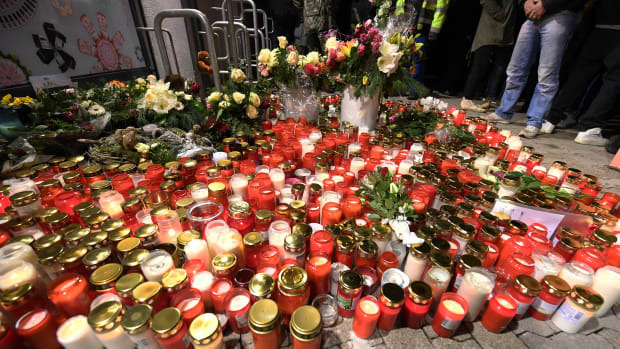 Candles and flowers are displayed outside a grocery store on January 2nd, 2018, where a 15-year-old girl was stabbed to death by her ex-boyfriend in the western German town of Kandel. 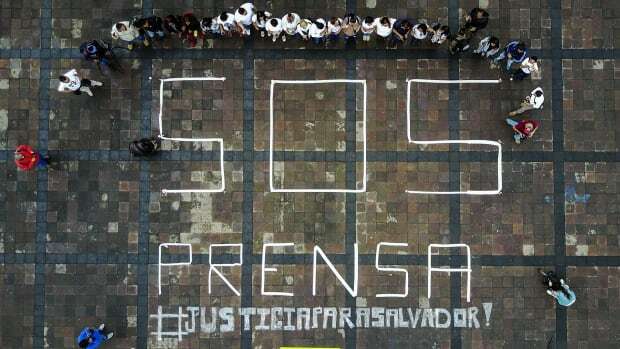 Journalists demonstrate in demand for justice for slain Mexican journalist Salvador Adame Pardo in Morelia, Mexico, on June 28th, 2017. 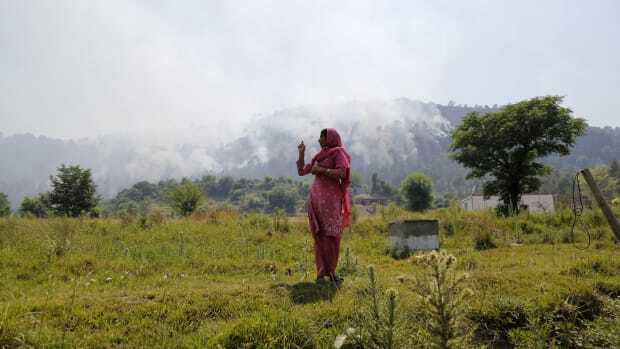 An Indian resident gestures toward rising smoke, believed to have resulted from mortar shelling, in the village of Jhangar on May 14th, 2017. 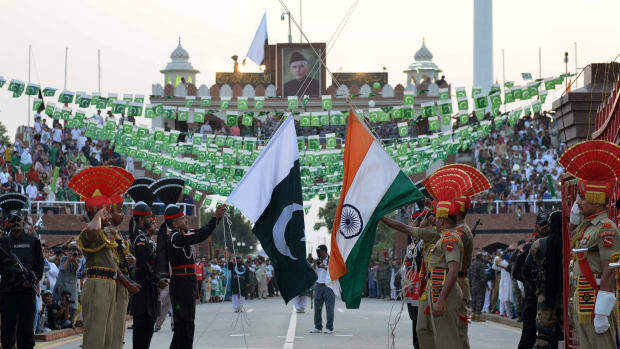 Pakistani Rangers and Indian Border Security Force personnel perform during the daily beating of the retreat ceremony at the India-Pakistan Wagah Border Post. 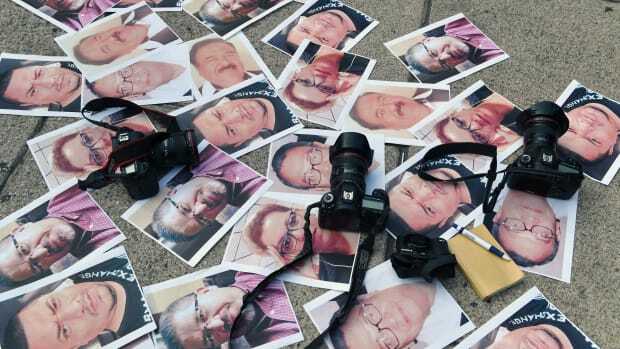 Cameras and pictures of journalists recently murdered in Mexico are placed at Independence Angel square during a protest in Mexico City on May 16th, 2017.